In Loving Memory of Lillian Ann Baumbach Jacobs First Woman Master Plumber. 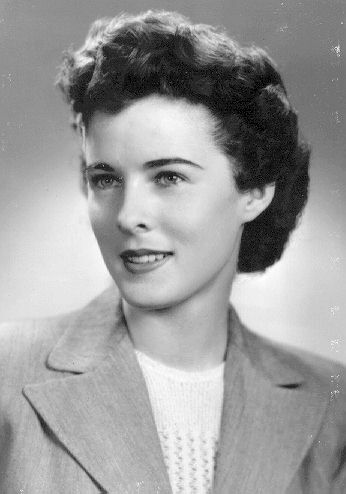 Famous for becoming the first woman master plumber in the 1950?s Lillian became the pen-pal of more than 250 men in the United States and overseas, 75 letters from Korea alone included election as pin-up girl for an infantry company. Lillian was also on two television shows a New York TV program, the TV game show What?s my Line? A radio broadcast and wrote a magazine article (Helpful Plumbing Hints for Housewives.) One of her favorite experiences was her interview with Walter Cronkite. Her life story and copies of newspaper articles from 1951 can be found here. Miss Becomes a Master Arlington County Gets First Woman Plumber. Lillian took the master plumbing examination with six male plumbers, only two of whom passed. Domestic Engineering magazine August 1953 page 96, 97 and 180 "The U.S. Has It's Lady Plumbers Too! This was sent to me by David G. Francis Plumbing & Heating in Norwich, NY. August 2000. Back To www.DcMetroNet.com This is the website I am Webmaster of. Back to www.Baumbach.com Family and Plumbing Company website. Back to www.SudsNFloodTamer.com The Flood Tamer is a patented unique device to stop the nuisance and costly damage associated with the backflow of water, suds, and sewerage. Copyrighted ?1997 William J. Baumbach II. Last revised: June 02, 2018.